09/07/2016 03/09/2019 FilipiKnow	Alvin Flores, Ben “Tumbling” Garcia, Emilio Changco, famous Filipino criminals and gang leaders, filipino gangsters, Grepor “Butch” Belgica, history of public enemy in the Philippines, Kuratong Baleleng, Leonardo “Nardong Putik” Manecio, Marcial “Baby Ama” Perez, Marvin “Shyboy” Mercado, most notorious gangsters in the Philippines, Nicasio “Asiong” Salonga, Octavio “Ongkoy” Parojinog Sr.
Filipino pop culture tends to trivialize or even glorify the gangster lifestyle so much that we sometimes forget just how dangerous these people can be. Yet for all their dastardly deeds, there are just some gangsters whose exploits made them so notoriously well-known that we can’t help but unconsciously put them on a pedestal. Without further ado, here are some of the most notorious gangsters to have ever set foot on the archipelago. 7. 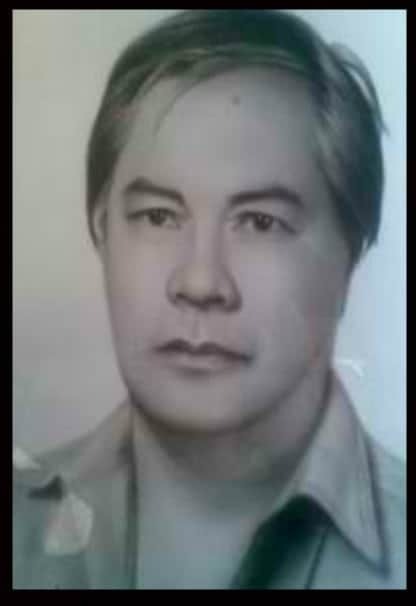 Octavio “Ongkoy” Parojinog Sr.
3. Marcial “Baby Ama” Perez. 1. Leonardo “Nardong Putik” Manecio. Emilio Changco in 1992 at the New Bilibid Prison. Photo Credit: Mike Goldwater. 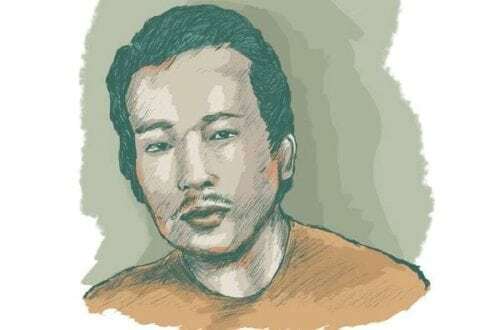 One of the most infamous Pinoy pirates of all time, Changco and his gang terrorized Philippine waters during the 1980s and the early 1990s. Using a hotel that overlooked Manila Bay as their base, Changco and his henchmen were often hired to seize commercial vessels to the tune of $300,000. Usually, the clients would hire the gang to steal the ship’s cargo, repossess a ship, or to collect fraudulent insurance in case their ships neared the end of its service. Changco’s career in piracy finally came to an end when he and his men brazenly hijacked the state-owned M/T Tabangao oil tanker. For that crime, he was given a life sentence in Bilibid. 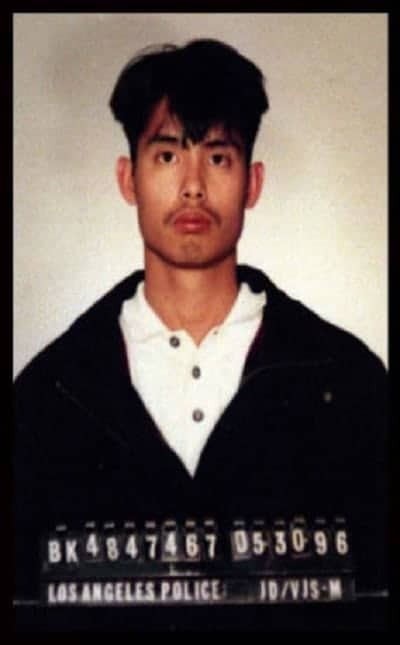 Changco was later shot dead inside the prison in 1992 by guards who claimed that he was trying to escape. However, Changco’s frail condition (he could only walk with a cane) led some to believe it was an attempt to silence him. During this time, the gang committed robberies, violent assaults, and killed people just for the sake of it. To avoid the authorities, Mercado later fled to the Philippines where he married a socialite and tried to keep a low profile. However, the long arm of the law finally caught up with him in 2007, resulting in his arrest and deportation back to the US. Although we’d usually remember the Kuratong Baleleng as the unfortunate gang on the receiving end of an alleged police rubout in 1997 in Quezon, some say it was a well-deserved fate. After all, the Kuratong Baleleng was said to be one of the most notorious gangs to have ever come out of Misamis Occidental. Ironically, it was the military who organized the group in 1986 to counter increased NPA activity in the area. Led by the first leader Ongkoy Sr., the group was effective in stifling communist expansion in Western Mindanao although allegations were rife that Parojinog also used the group to further his criminal activities such as robbery, kidnapping, and extortion. To the people in his hometown, however, he was known as the “Robin Hood of Lawis” due to his reported generosity. After the military deactivated the group in 1988, it eventually focused more on organized crime and splintered off into several off-shoots. 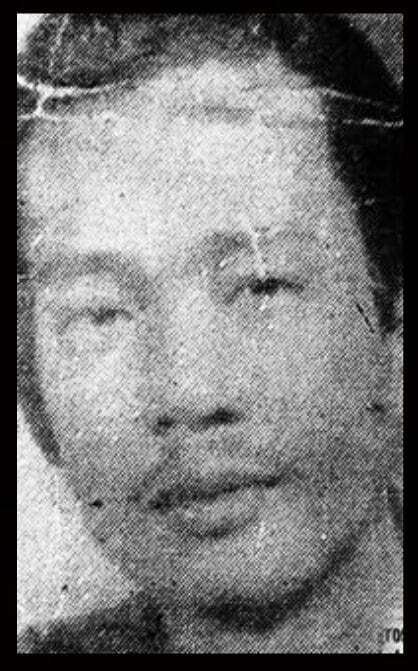 As for Parojinog, he died at the hands of the authorities who shot him in a botched drug sting inside a local cockpit in 1990. The Kuratong Baleleng was later implicated in the deaths of the authorities involved, ostensibly as retaliation for their founder’s death. 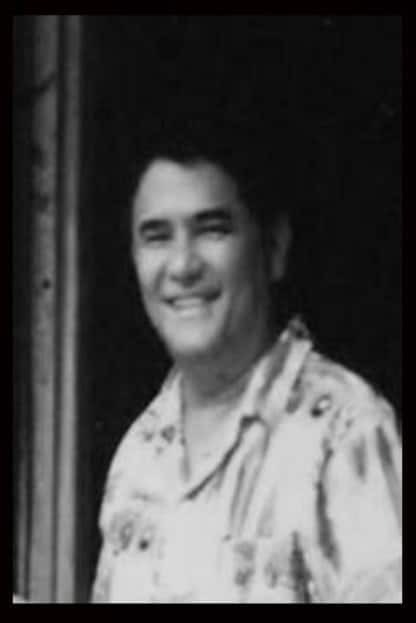 Although he may be known today as a born-again pastor, Grepor “Butch” Belgica was at one point one of the most infamous gangsters of the 1960s and 70s. A spoiled brat from a prominent family, Belgica earned his ticket to the big house at the age of 16 when he was convicted as an adult for the murder of another scion. He spent jail time in Muntinlupa and a penal colony in Palawan. During his prison term, Belgica became known as a gang leader, as well as being a dedicated communist. Fortunately, he also became a born-again Christian while inside prison and was later rewarded by President Marcos with a pardon in 1976. Since then, he has never looked back and has dedicated his time to civil and pastoral work. 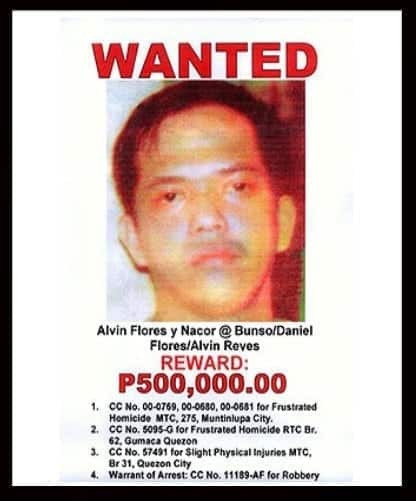 Other than being the leader of the ultra-violent gang that bears his name, little is known about Alvin Flores’ background. 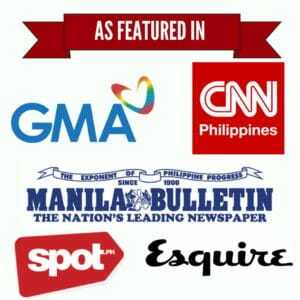 While authorities say that Flores—who died in October 2009 after a shootout with NBI agents in Cebu—used to be a waiter with no military or police training, a former comrade claimed that Flores once worked as a car thief for the communist hit squad Alex Boncayao Brigade in Malabon in the 1980s. At some point, Flores even became a “police asset” due to his effectiveness. Afterward, he went on to form his own group that would gradually earn its reputation through ruthlessness and penchant for pulling capers while dressed in police uniforms. In the years leading up to his death, he and his group would be implicated in dozens of high-profile killings and robberies, the most infamous being a brazen daylight raid on a Rolex store in Makati’s Greenbelt 5 in 2009. Hailing from Malabon, Benjamin Garcia—better known as Ben Tumbling due to his acrobatic skills as a former stuntman—achieved notoriety in his hometown by engaging in drug-dealing, robberies, and carnapping. However, it was his personal hand in the deaths of seven policemen that made him especially feared by authorities. It is said that Garcia hated the police for torturing him in his youth; that hatred reached the point of no return when they also allegedly raped his wife. Yet for all the fear Garcia evoked in the police, the poor locals held him in high regard because he would share the profits from his criminal activities with them. 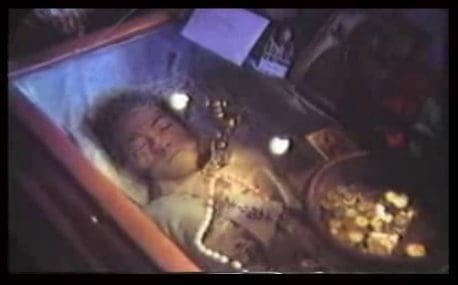 In fact, thousands of them even attended his wake and funeral after he was finally killed by the police on Friday the 13th, 1981. 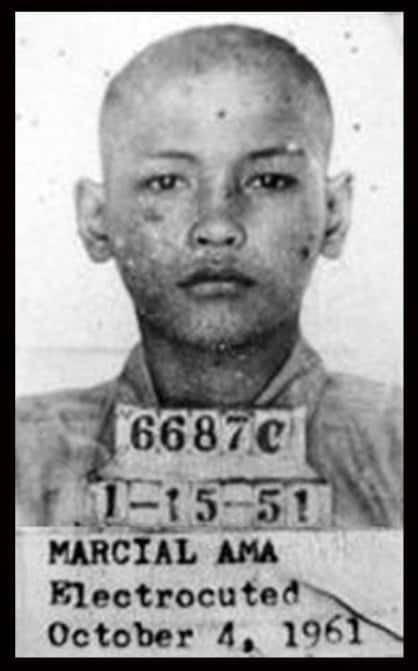 Don’t let the innocuous-sounding nickname fool you; Marcial “Baby Ama” Perez was regarded as one of the most notorious inmates to have ever graced the New Bilibid Prison in Muntinlupa. Perez first ended up in jail after stealing money to help fund a friend’s schooling. While inside the prison, he had to endure ridicule and abuse due to his boyish looks. Although he survived it all, it is said that he snapped after learning that his pregnant wife committed suicide after being raped by one of the prison guards. He later became a hitman inside the jail, offing several of his fellow inmates and eventually emerging as the leader of the Sige-Sige Gang. Perez later conducted the largest and deadliest riot in Bilibid, a bloodbath which resulted in the deaths of nine inmates (including one beheaded). “Baby Ama” eventually met his end via electric chair in 1961 even after his death penalty had been commuted—a testament to his notoriety. Born and raised in the tough neighborhood of Tondo, Nicasio “Asiong” Salonga gradually developed two polarizing reputations. To those neighbors he was generous and amiable with, he was known as Robin Hood. To his enemies and the rest of the country, however, he became branded as Tondo’s Public Enemy No. 1 and the kingpin of Manila due to his involvement in several gang-related violence and assortment of crimes, the accusations of which he always managed to evade. Salonga’s relatively short life—he was 26—came to an end on October 8, 1951, during a drinking spree when a gunman shot him at close range with a .38 caliber to the head. Police identified the assailant as Ernesto Reyes, a henchman of Salonga’s rival and also-notorious gang leader Carlos “Totoy Golem” Capistrano. 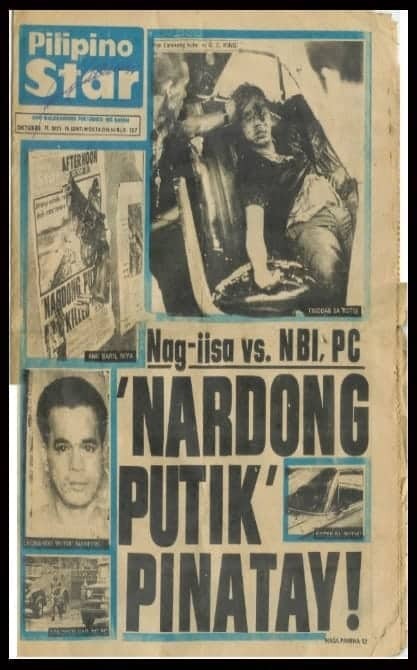 One of the most notorious gangsters to ever come out of Cavite, Leonardo “Nardong Putik” Manecio’s reckless exploits and ability to evade the law made him something of a folk hero to his town mates. It is said that he always carried an anting-anting and would submerge himself in rice paddies to hide from his enemies or evade the authorities. During his career, Manecio was involved in several felonies ranging from murder, abductions, robberies and illegal possession of firearms. His biggest claim to infamy, however, was his role in Cavite’s Maragondon Massacre in 1952, an incident wherein he and his henchmen killed the mayor and the police chief allegedly on the orders of a senator from a rival political party. Manecio also escaped jail a total of three times; his reign of terror as Cavite’s Public Enemy No. 1 came to an end on February 10, 1971, after NBI agents engaged him in a highway shootout. Andrade, J. (2009). How NBI tracked down Alvin Flores. Philippine Daily Inquirer. Dela Cruz, A. (2009). Alvin Flores started young, stealing cars. Philippine Daily Inquirer. Liss, C. (2011). My library My History Books on Google Play Oceans of Crime: Maritime Piracy and Transnational Security in Southeast Asia and Bangladesh (p. 195). Institute of Southeast Asian Studies. Sidel, J. (1999). Capital, Coercion, and Crime: Bossism in the Philippines (p. 53). Stanford University Press.